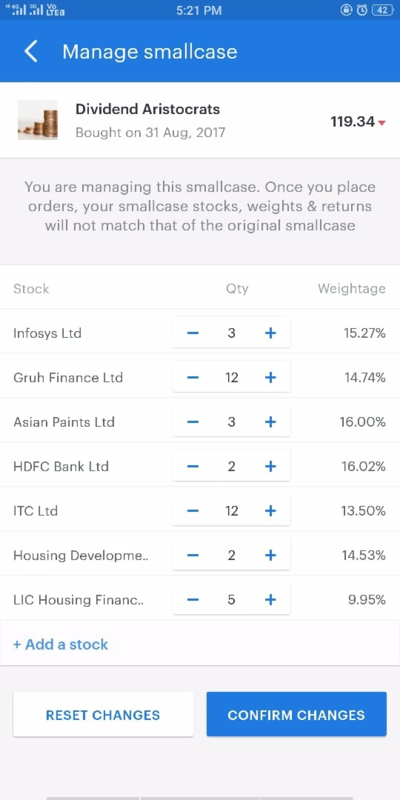 Tap on a smallcase in the Investments tab and scroll to the bottom of ‘Stock Constituents’. 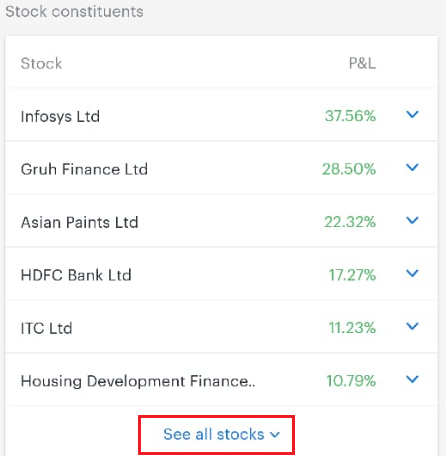 At the bottom of the list of stocks, you can find the option to ‘Add/Remove stocks’. 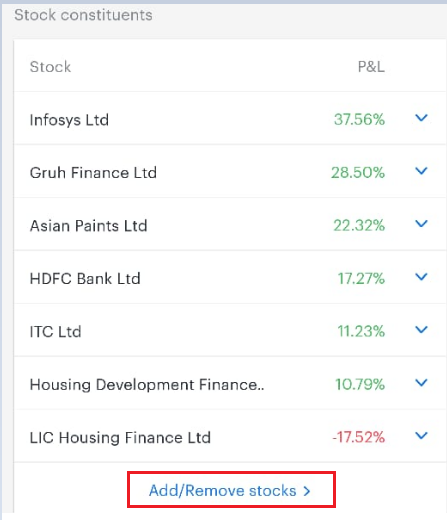 On the manage screen, reduce the quantity of a stock to 0 in order to sell it completely.